"You will be missed John... rest well." "Oh my goodness, I just found out about this. My sincere..."
"John was a fine gentleman. He was always very nice to me..."
John Theodore Heines, 89, loving husband, father and grandfather passed from this earth to his heavenly home on Saturday, February 2, 2019. A memorial service will be held at First Presbyterian Church in Tyler on Tuesday, February 5, 2019 at 11:00 a.m. with Dr. Stuart Baskin officiating. Visitation will immediately follow the service. John was born December 9, 1929 in Evansville, Indiana to Ada and John T. Heines Sr. He was raised by his mother after losing his father on his first birthday. John graduated from Bosse High School in 1947 and went on to graduate from Indiana State University in 1950. A life learner, John completed post-graduate work at The University of Denver, Lon Morris College and UT Tyler. John spent his entire career in the real estate business. From 1962 to 1974, John developed and leased commercial properties as well as the construction of residential and commercial properties. In 1976, he turned his focus to appraising properties. John served as President of the Tyler Board of Realtors in 1980. John was named Realtor of the Year in 1981 and received the Glover Tunnel Award of Excellence in 2001. 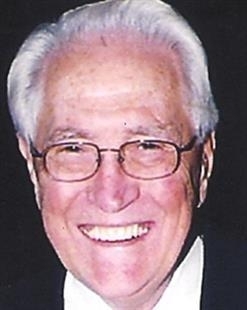 He was a Director at the Texas Association of Realtors for many years, along with being an original member of the American Society of Appraisers and Texas Appraisers Licensing and Certification Board. John served his country in the Air Force during the Korean War. He attended Officer Candidate School and retired a First Lieutenant. John lived in Tyler, where he was an active part of the community. He and his wife, Lynn shared 44 wonderful years together. They enjoyed traveling to places like Russia, China and Spain. John loved trying new things; including most recently zip lining in Alaska the age of 88. John was a faithful member of First Presbyterian Church where served as an Elder. He was also a consistent patron of Cox's grill, where he had his same table every time he was there. John was preceded in death by his parents and his older sisters, Betty Jane Hollem and Martha Adeline (Ada) Kirkwood. He is survived by his wife of 44 years, Lynn Heines; children, Blair Heines (Di), Martin Heines (Michelle), David Cobb (Jill) and Catherine Ann Cobb Clayton (John); grandchildren, Matthew Heines, Kimberley Heines, Isabelle Heines, Luke Haberle, John David Cobb, Emma Catherine Clayton and John Edward Clayton IV. Pallbearers are Charles Ainswoth, Mike Allen, Wayne Babin, Magdaleno Benetez, Carroll Bobo, Danny Daniel, John Gaston, John Minton and Glenn Taylor. Ste. 1204, Tyler, TX 75702, or First Presbyterian Church 230 W. Rusk St., Tyler, TX 75701.